I am creating Charts with 3 series.THere are charts for 6 different Values, like Cell A-,Cell B, Cell 6. The axis Title on the left is written over the values on Y-axis.It does not happen all the time. First of all, please notice that this is a TeeGofer forum, not TeeChart. 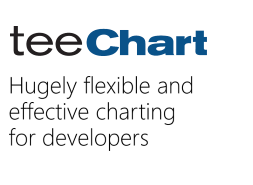 So from now on, we'd appreciate to post TeeChart technical inquiries to its specific forums for each version (ActiveX, VCL or .NET).